Single person Ex-local authority studio or one-bedroom flat. Any – he may require just a room to lay his head or require a three-bedroom house because he wants a computer room and a spare room. If he can pay the rent, then he can dictate where he wants to live. Single parent Two-bedroom + ex-local authority flat. If you let a one-bedroom flat to them they will only be looking to move to somewhere bigger and you will have to find another tenant again. Two-bedroom ex-local authority or private house is preferable, as it will have a garden. Couple Ex-local authority studio/one-bedroom flat only. DSS are unlikely to pay market rent for a two-bedroom flat for a couple when they can quite comfortably live in a studio/one-bedroom flat. Any – for the same reasons as above. Family Two+-bedroom ex-local authority house. A family will invariably want a property with a garden. Two+-bedroom ex-local authority or private house. A family will invariably want a property with a garden. So if you buy a private one-bedroom flat you know that the right tenant is a working single person or couple. You need only advertise for that tenant – ‘suit working person or couple’, the advert might read. If you misplace a tenant at your property it will only lead to the hassle of finding another tenant later on. It’s worth noting that a two+-bedroom ex-local authority house meets six out of the eight tenant categories. You could use this table to dictate the type of property you buy. For example, if there are a lot of single parent DSS claimants in the area looking for properties then a two-bedroom ex-local authority flat might be the right property to go for. If you wish to go for the minimum risk route then go for the two+-bedroom ex-local authority house. If you are going to manage the property yourself then the most important person in this whole tenant-choosing process is YOU! If you feel you can get on and deal with only a certain category of people then choose them exclusively. If you’re a professional person used to dealing with only professional people then steer towards private properties in the nicer areas and vice versa. It can be very difficult to extract rent from tenants when you cannot communicate with them. If there is an initial language barrier then I can only foresee problems. Unless there is an intermediary, like a social services officer because social services are paying the rent, then it’s okay. Otherwise steer clear of such tenants. Couples aged under 25 are always troublesome. The tenancy will only last as long as the relationship does. They think it’s a great idea to move in together after knowing each other for only two months but when the couple fall out neither one takes responsibility for the rent. You’re left with the task of chasing them both independently for the rent but when they both blame each other, you’re the loser. If a couple under 25 are the only ones interested in the property ask them how long they have been together and if they have lived together before. Try to get a larger deposit – two months is ideal. Also try and get one of their parents to be a guarantor. If you are borrowing to finance the property purchase then lenders often stipulate what type of tenant you can have. The main exclusions are DSS claimants and student lets. You need to check with your lender what exclusions they have and let this be the criteria for your selection of the lender. Councils have a waiting list of people looking for a place to live. Since councils have fewer council properties on their books, they are always pleased to hear from private landlords willing to let their properties to residents in the local area. The councils have lists of working and unemployed people as well as refugees and asylum seekers. I would advise that you write a letter detailing the property you have to let to the Housing Section of the local council and follow it up with a phone call. Councils can be slow so I would not rely on this as your only source of finding a tenant. There are two large local employers in the Harlow area. I wrote to both of their human resources departments detailing that I had various properties for their employees. I get a call once every other month, so I would not rely on this as your only source of finding a tenant. Local accommodation projects are always on the lookout for willing landlords to take on ‘homeless’ people in the area. The ‘homeless’ does not mean that they are currently living rough – they simply do not have a fixed place of accommodation. These projects usually collect the rent and guarantee the rent if the tenant fails to pay. They do not charge for their services, as they are charities or non-profit organisations. Area – You must say where the property is. It is no good to assume that the reader will know the area where the property is when the newspaper is distributed in a number of local areas. This way you avoid unwanted calls. Private – If it is in a private area that is a selling point. Furnished – Again, if it is furnished say so. Number of bedrooms – You must put the number of bedrooms the property has as readers will then know if your property can accommodate them. Price – In any advert you must put the price. I always quote my properties as weekly rent i.e. £80 per week. This way the tenant assumes that the rent is £320 per month (as the tenant thinks there are four weeks in a month when there are actually 4.33 weeks in a month) when in fact it is £346 per calendar Your property will appear cheaper than other properties that are quoted per calendar month. If you price your property at £79 rather than £80 the impact is even more significant. Features – If it’s got a new bathroom then say so! Anything that is not standard with a property such as a garage, separate dining room, large garden or new carpets will attract more interest. Telephone number – Do not give out your mobile number only! You will receive fewer calls as everyone knows that a five-minute call to a mobile costs a small fortune, especially to the people that you are trying to target. Put a landline down as well as a mobile. I have a freephone number which costs me 4p per minute to receive. A small price to pay to get someone talking about your property. Freephone providers are detailed in the reference chapter. To find out about the local newspaper in the area of the property you have bought or thinking about buying, visit www.newspapersoc.org.uk. This is the most expensive way to find a tenant. They usually charge one month’s rent + VAT. But they will show prospective tenants round, run credit checks, ask for references, arrange a standing order and do an inventory check on the property. I would recommend this if you work or live far away from the property. Reduce the rent. If you can’t let it out at the price you want, then reduce the rent. It’s the basic economics of supply and demand. I suggest reducing the rent by £2 per week increments. Widen the criteria for the type of tenant wanted. If you’ve asked for non-smokers then consider smokers. The smell can be eradicated quite easily by a local cleaning company if need be. Accept a tenant without a deposit. A letting agent would be horrified by this advice. However, I have done this on a number of occasions, especially for DSS claimants who simply do not have that kind of cash to pay. I recommend this approach for properties that are not in the best of condition, and where the tenant is a family and are currently on benefits so the claim will go through smoothly. You have to ask yourself whether the tenant can do any more damage to the property considering its current state. Most people are looking for a place they can call home rather than moving into somewhere with the intention of wrecking it three months down the line. Furnish the property. This will be expensive and is no guarantee that the place will attract tenants. Consider this if you are getting calls rejecting the property because it is unfurnished. This is a drastic measure as I think any property in the UK is lettable – it’s simply the rent you are asking for that will deter possible tenants. However, if you are experiencing trouble letting it, get out! Sell it and buy something else. You can check the credit of your tenant like a lender credit-checks a borrower. This costs between £17.50-£94.00 depending on what service you require. Some credit checking agencies guarantee the rent if your tenant defaults. All letting agents insist that landlords do this but I disagree. Credit checks are advisable for only certain types of tenants and areas. Let me explain by way of a table detailing the different type of tenant (private or DSS) and area (low and high demand for rental properties). A yes in the box means you should credit-check your tenant. Private tenant in high demand area – As the tenant is paying all the rent and you can afford to be choosy as there is high demand for your property, then it is worth credit checking. This ensures that you get the best tenant. I would strongly advise you to get an employer’s reference as well confirming that the company employs him and use the credit check as only a supporting tool. Private tenant in low demand – If you have had few calls for your property and you wish to only have a private tenant then you cannot be choosy. Most people will fail a credit check – even I do. I am a chartered accountant but I have a default that I am currently investigating from 18 months ago for £4.89, which renders my credit check as a failure. So a credit check does not always guarantee the best tenant but can only support the tenant’s case. That’s why it’s important to get an employers reference. DSS tenant in high demand – The council pays the majority of the rent so there is no point credit checking a tenant for, say, a £10 a week top-up. The tenant would probably fail the check anyway. DSS tenant in low demand – The same reason as above. Credit checking is also dependent on your acceptance of risk. If you have a low acceptance of risk then it is probably advisable to get the full credit check that guarantees the rent if the tenant fails. If you are willing to accept some degree of risk then it is advisable to get a credit check in the circumstances noted above. If you are a risk taker like me then never get a credit check. Get an employer’s reference. They’ve never had credit – Just because someone has never had credit does not make them uncreditworthy. For example, you may have a university graduate looking to move into your property as he has just got his first job in the area. He may be from a good family who will bail him out if he gets into any money problems. One would imagine that he is responsible enough to take the financial commitment of a tenancy considering he has gone to university. He will probably be earning in excess of the national average wage and will be able to comfortably afford the rent. Taking these factors on board he may still fail a credit check. However, he may be the most suitable tenant for your property after taking everything into consideration. Low value defaults – I have a default for £4.89 from 18 months ago which I am currently investigating. I would fail some credit checks because of this. A £4.89 default does not make me uncreditworthy under any circumstances. You have to look at the tenant’s situation as a whole rather than whether he passes or fails a credit check. Do not be afraid to ask what they earn and compare that to the rent you are charging. If the monthly rent is approximately a third of their monthly income then they can probably afford it. They lose their job – No amount of credit checking can predict this. The tenant household splits up – When couples split up their financial commitments are the last to get a look-in. If you’ve let to a group of students and one of them leaves it can then be very difficult to chase him or her or to get the rest of the household to make up the difference. Just because a tenant passes a credit check now does not mean that they will honour their commitments in the future. Their circumstances have now changed – this is why people default! The tenant misbudgeted - If this is the first time the tenant has ever taken on the responsibility of occupying and paying for a home then it is possible that the tenant has miscalculated or omitted some of the other costs associated with running a home. Add in rates, council tax, electricity etc. and the tenant quickly falls in arrears. Ask the tenant if they have ever run their own household and ascertain if the tenant is aware of all the costs involved in doing so. Can he afford it now and in the future? Has he got a temporary or permanent job? Has he got a supportive family and can you get them to be guarantors for the rent? Does he appear to know all the costs involved in running a household? I assume that if someone can afford to pay over a month’s deposit and one week’s rent in advance then he or she will probably be able to pay the rent in the future. So far I have not been wrong. The times I have been wrong is when I have not taken a deposit and let a tenant move in with just one week’s rent in advance. The tenant quickly falls into arrears because they cannot budget. That is why they never had a deposit in the first place! You will get paid four weeks in arrears – All councils pay four weeks in arrears. If cashflow is crucial then do not take on DSS. Invariably the council will take anywhere between four weeks and sixteen weeks to get paid. This is because you depend on the tenant providing all the information the council require. If the tenant is slow to respond to the council consider issuing notices of eviction to the tenant to hurry him up. Ensure that the benefit cheques get paid direct to you – All housing benefit can be paid directly to the landlord if the tenant signs a consent form. This is a must if you take on DSS. This way you get paid directly by the council. Claw backs – Be aware that if your tenant has been fraudulently claiming benefit then the council can reclaim all the housing benefit that has been paid to you. I’ve heard some horror stories where claw backs have totalled £2,500! If you are risk averse, stick to private tenants. Your tenant is not your friend! If your friend approaches you wishing to live in one of your properties then say no – make some excuse. We all know the feeling when we’ve lent a friend £20 on a night out and then we have to ask for the money back – we all hate doing it. There is a good reason why we don’t like doing so and that is because money and friends don’t mix. Many friends in the past have fallen out over very small amounts of money, let alone a month’s rent. If your tenant tries to become friendly with you, like inviting you to their Christmas party, always decline. The relationship between landlord and tenant is strictly a business relationship and if this becomes blurred, then you are heading for trouble. This does not mean you have to be overly distant. Remember that you are in business with each other and that is the only reason why you know each other. For the relationship to last, the following simple contract needs to hold – you are supplying a safe property for the tenant to live in and the tenant is paying you the rent on time. Do not complicate matters by drifting into a friendship/business relationship. Apart from using a letting agent, the way to collect the rent should be dictated by the tenant. You need to make the way the tenant pays their rent as easy as possible and this will be determined by the tenant. Your choice of tenant should not be dictated by the ease of collection of rent. The choice of tenant should be dictated by the factors mentioned above. It is your duty to work around the tenant if you want the right tenant and to receive the rent on time. Letting agents can handle the whole process of letting your property. This involves finding a tenant, taking inventories, collecting or guaranteeing rent and dealing with all tenant and property problems – sounds too good to be true. However, letting agents are expensive! For a full management service the fee charged can range from 12 per cent to 20 per cent + VAT of the rent collected. We accountants call this ‘top line commission’. It is called this because they are charging commission on the rental income rather than the overall profit you are making. The expression ‘top line’ comes from the fact that income is the top line in any profit or loss account. You work full-time - This is not to say that you shouldn’t try without the help of an agent. I have a few properties that I have never seen since I first let them or I haven’t spoken to the tenant since I first met them. This is because the tenant’s rent is paid directly into my bank account by standing order and nothing has gone wrong with the flat since I bought it. In this situation, who needs an agent? Only use an agent once letting your property has eaten into your leisure time or you’ve just simply got fed up. You do not need your tenant ringing you up complaining of a blocked drain when you are in the middle of an important meeting! The property is far away – If a property is more than three hours travel away then it is probably better to use an agent. The gross yield must be very good though. I would say 24 per cent is the minimum if not higher. This is because you are using an agent and if you were only receiving a 12 per cent yield, after agent fees you would be making a loss. When I first started I used an agent as I worked full-time and did not want to get bothered at work when something went wrong. Sometimes it can be very time- consuming chasing your tenant for rent. Remember letting agents are experts in handling tenants and cannot do only what you do but they can do it better – that’s their business! I would advise you to use an ARLA accredited agent as you are insured against frauds committed by the agent and bankruptcy of the agent. This means that you would receive all the rents collected by the agent even if the rents were not handed over by the agent. Proof of the fraud would not be needed as the rents are covered by an insurance scheme backed by ARLA. ARLA agents can be found by visiting www.arla.co.uk. Another way you can collect rent through your bank is to ask the tenant to give you a series of post-dated cheques to cover the rent. So, for example, if he is to pay a rent of £400 on the first day of the month then ask for six cheques for £400 dated the first of the month for the next six months. You then simply present these cheques when the cheque dates become valid. 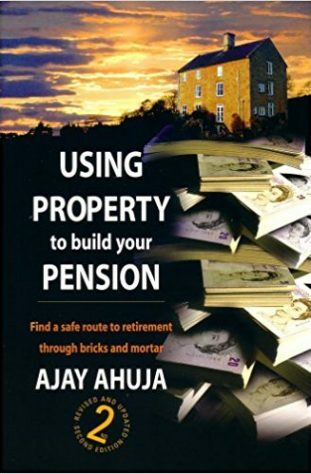 You could also give your tenant a paying-in book for your bank account. This is best for tenants who earn cash but do not have a bank account. This way the tenant could visit your branch and deposit the rent when possible rather than you both organising a rendezvous for the tenant to hand over the cash. I receive the majority of my rent through the post. This is either from the tenant themselves or from the council housing benefit departments. I prefer this method as it is easier to keep a mental check of who is supposed to be paying (because a cheque physically lands at your door on a regular basis), rather than continuously checking your bank account. I have one tenant that consistently sends me the rent cheque by recorded delivery. As I am never up when the postman knocks on my door (around 8am) I have to go to the sorting office to get my cheque. I asked my tenant not to send it by recorded delivery but he prefers to do it that way so I have to accept that I have to go to the sorting office every week! Remember, the tenant always dictates the method of payment. Under no circumstances should you allow the tenant to pay cash through the post.